We've been asked by our Spanish amigo Ricardo Patterhijo to spread the word about possible problems in Albarracin, so here goes goes. 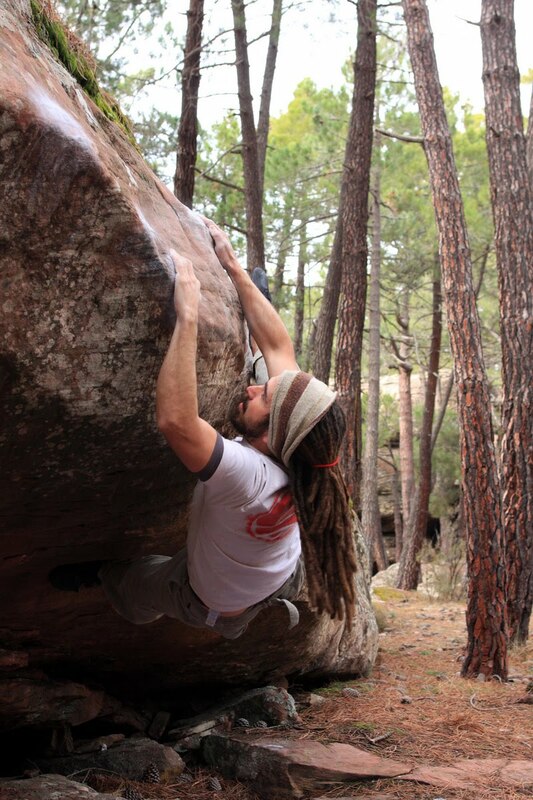 According to Oscar Navarro, from the Asociacion Escalada Sostenible Albarraci­n the world renowned and world class sandstone bouldering at Albaraccin in central Spain is in serious danger of being closed. Exacerbating the problem is Alba's higher European profile meaning more visitors, the obvious proliferation of bouldering as a sport in its own right and the fact that the site itself hosts some important cave paintings as well as lots of wildlife. So accordingly they've issued some helpful and sensible guidelines to hopefully help enjoy the crag without it being banned. - It's forbidden to climb at Soly y Masia. - Tick marks - these are a big no no and causing problems - if you need to mark a hold please use a strip of tape then simply tear it off and take it away. - Chalk please, please, please, minimize use. - It's forbidden to climb on boulders within 30m of the tarmacced road between Albarracin and Donarque and also forbidden to climb within 30m of any site with paintings. - It's totally forbidden to have dogs off the lead. - As ever, please bury all human waste and ship out any paper/tissues and sanitary products. - In any parking area with a roof/shade you must park under the roof - if your vehicle doesn't fit under the roof please parking in the main car park or in El Cabrerizo. - It's just about Ok to spend the night in the parking area in vehicles (no tents or camping) but only if any signs of overnight stays are gone in the morning. - Please stick to recognized paths. - No climbing after dark or before sunrise. - Don't make fires - it's a big dry pine forest!!! - Smokers, take out your butts!! So if you are going to go to Albarracin please remember the old adage - not ours but ours to look after - and remember that only a sensible and sustainable approach will help to stave off problems whether at home or abroad.